A phone call from the hospital interrupts Gretel's isolation and throws up questions from long ago. She begins to remember the private vocabulary of her childhood. She remembers other things, too- the wild years spent on the river; the strange, lonely boy who came to stay on the boat one winter; and the creature in the water - a canal thief? - swimming upstream, getting ever closer. In the end there will be nothing for Gretel to do but go back. Daisy Johnson's debut novel turns classical myth on its head and takes readers to a modern-day England unfamiliar to most. 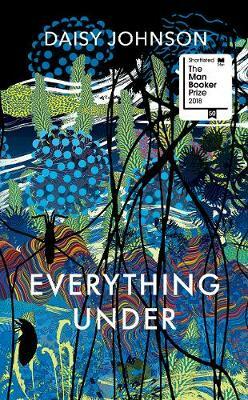 As daring as it is moving, Everything Under is a story of family and identity, of fate, language, love and belonging that leaves you unsettled and unstrung.